In "Unbeatable Chess Lessons for Juniors", game master Robert M. Snyder takes games played by the world’s best players–including Bobby Fischer, Reuben Fine, Samuel Reshevsky–and creates lessons designed for rapid game improvement. Targeted at 8-13-year-olds, this book explains the ideas behind every move in a format that both the advanced beginner can understand and the intermediate player can greatly benefit from. 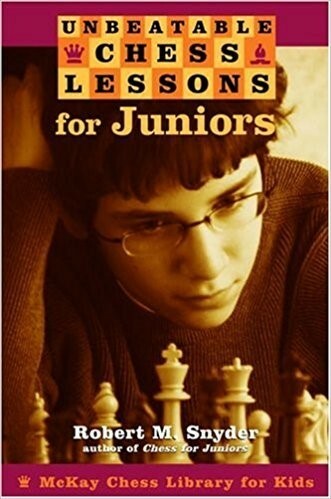 As he did in his best-selling "Chess for Juniors", Snyder provides clear step-by-step instruction in clear language. He applies the lessons learned by the greats to the games that every student plays.